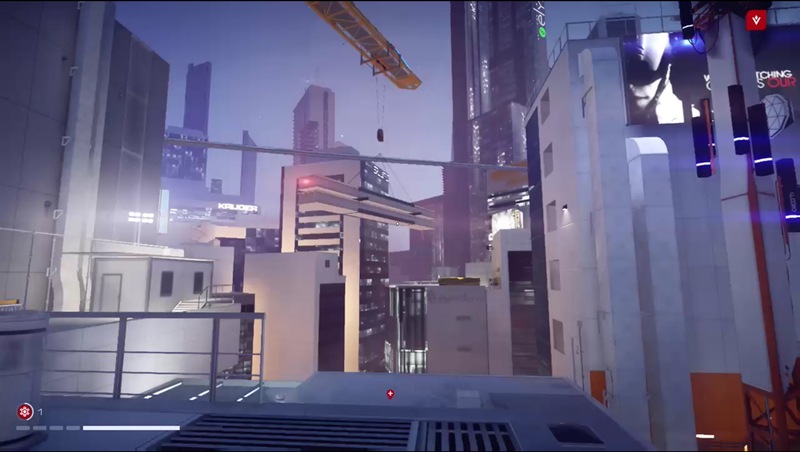 What made Mirror’s Edge stand out, however, was the tone and emotions evoked by the game. 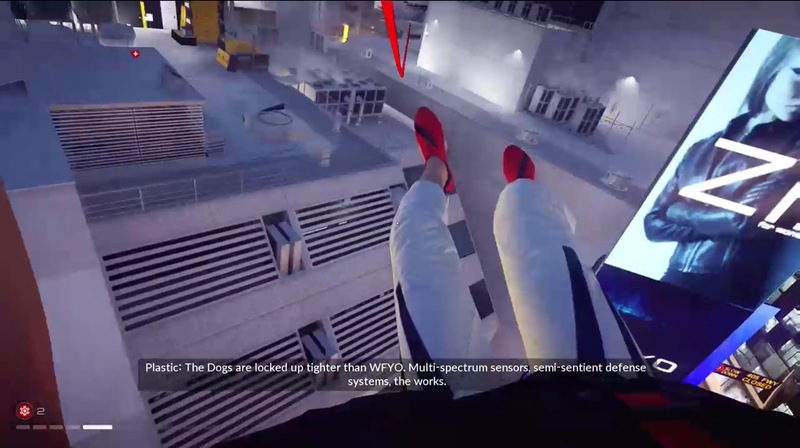 They set the perfect mood, with the player running through an idyllic utopian society of bright whites and neon colors, across rooftops making thrilling death defying jumps to safety from the ever present threat of the police. It sounds stressful, but with a relaxing pop theme in your ear, every aspect of the game was designed to feel more like a stress release telling you that as long as you kept moving you’d be free. 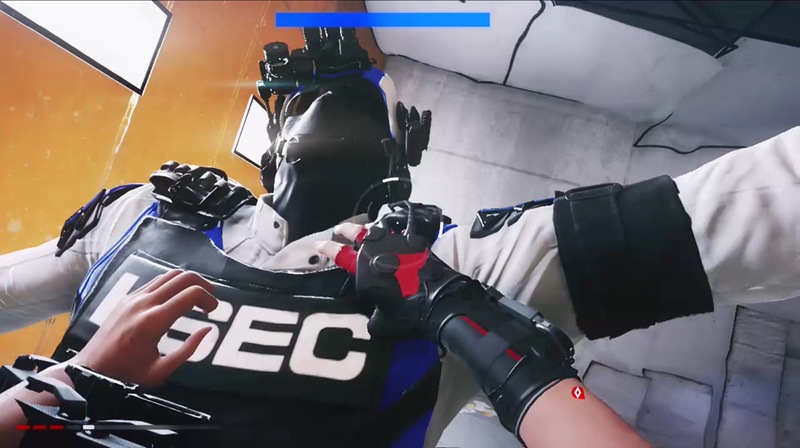 You’d be Still Alive. Despite not reaching excellence, the first game was definitely worth checking out and playing through. For those, like me, who loved it, we longed for a sequel we were sure not to get. Now that we have it, I can’t help but feel like though we got a whole lot more this time around, all of the more that we got feels like it’s all a little bit lacking. 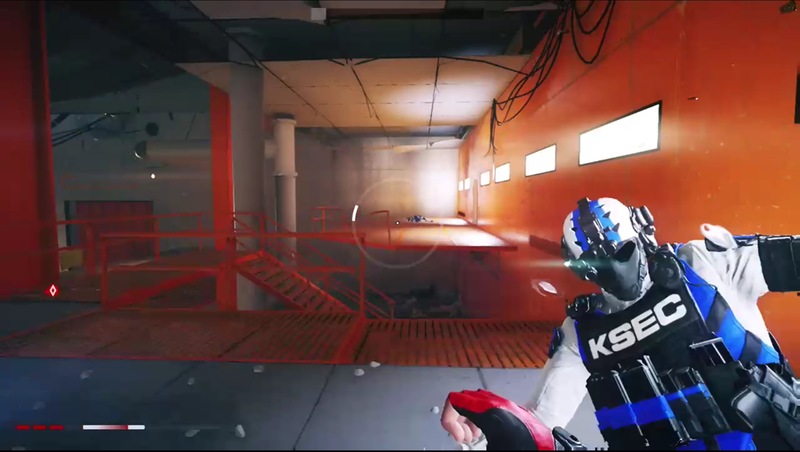 The story of the first Mirror’s Edge took flak for being too simple. It was a very linear game with a small contained story told through anime cutscenes. It didn’t really succeed, but it worked within the confines of the game where simplicity was the mission objective. This time around they made the story a lot more complex, to fit within their larger more non-linear game world, but they didn’t improve their writing chops to hold up the kind of story they decided to tell. As the story became more twisted with its moving parts, the writer wasn’t able to bring a similar complexity to the surrounding cast. 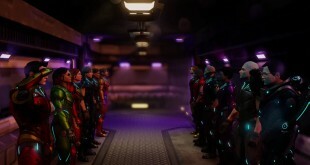 Instead we have similar one beat characters being introduced to us with names we’ll quickly forget, giving us another flimsy excuse after flimsy excuse to get us to run again. Though the cutscenes are told in far more impressive CG, they don’t provide any more quality narrative than the anime cutscenes of last game. To make matters worse, the CG cutscenes are told with such conservatism that major plot reveals are told through flat voice over on gameplay. During one such moment I was in an elevator staring at a reflection of myself and Faith screamed into her earpiece over some major drama. But her face didn’t emote. Her mouth didn’t even move. I was completely pulled out of my suspension on disbelief. Though they put so much work, perhaps, into writing the story, it is very clear the game designers had no respect for it when it came time to actually make the game. It’s just there as an excuse to keep you running. On top of that, the narrative is hard to follow. Filled with abbreviations and nicknames we have no connection to, the dialogue falls completely flat. Things happen for seemingly no reason with little time spent on character development or motivation. For example, you’re not even 10 steps from the prison at the start of the game before your previous employer voids your probation and has you on the run from authorities for seemingly no reason. Just so your funky augmented reality contacts will work. Because why give our character any agency, or ask what she wants after being in prison for an extended length of time? They introduce concepts to us without giving us context to why they matter within the story. Things just are, and we are to take peoples’ words for it and deliver their random doodads from place to place cause they say so, they also insisting that we know them and it’s something we, as Faith (The Vampire Slayer? ), would normally do. Once you’re running, and the game never wastes any time getting you back in your running shoes as fast as it possibly can, the gameplay is surprisingly close to the first game. 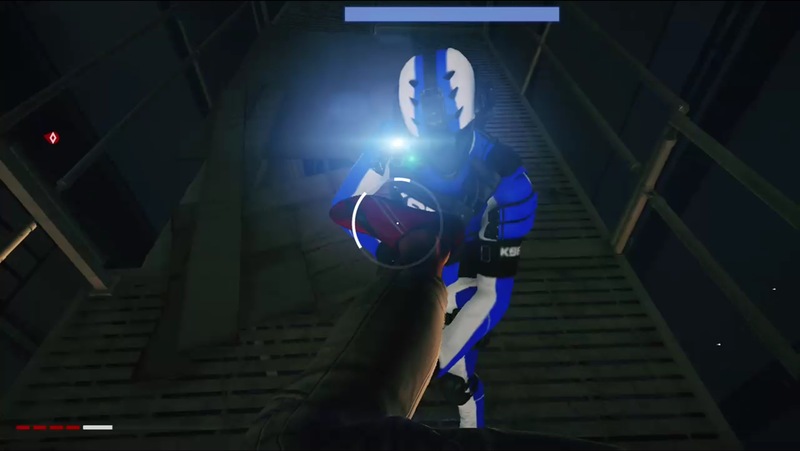 Surprising not because it doesn’t work, which it does after some practice, but because since 2008 I was sure we’d seen this concept done better in games like Dying Light and Titanfall. 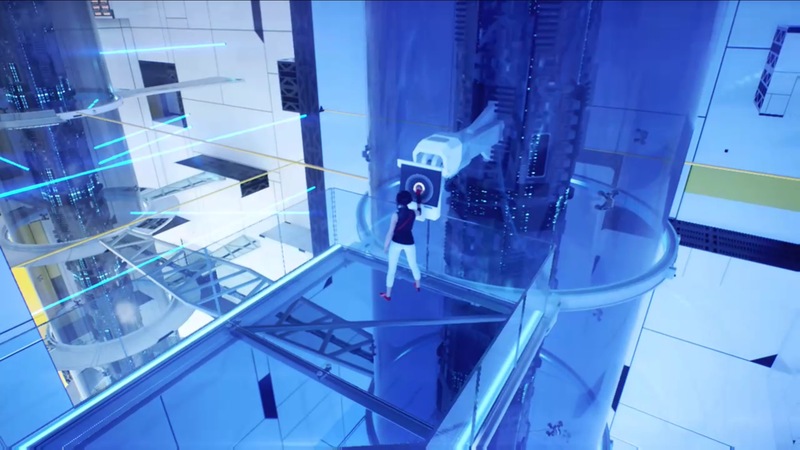 It’s also strange that though the controls are the same, there are certain abilities mapped to buttons that we were able to use right away in Mirror’s Edge, but are now trapped behind a pretty redundant upgrade tree. It doesn’t take long to unlock everything you need, but is so by the numbers it is curious why that attempt at an RPG mechanic was tried at all if with so little thought or effort. 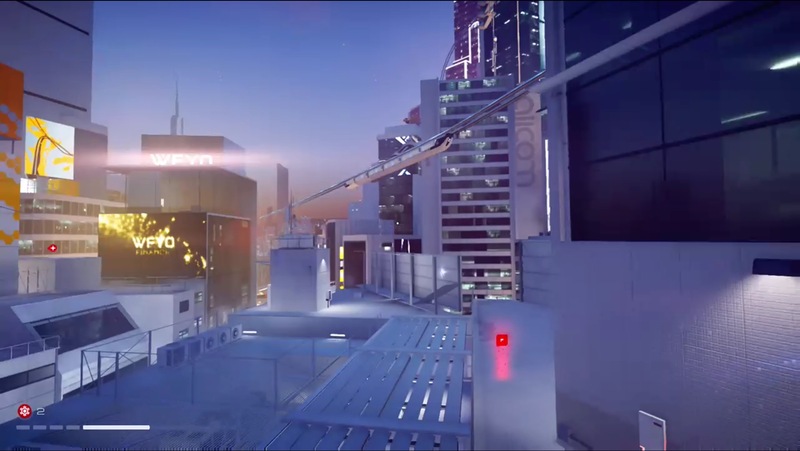 The linear levels of the first game have been replaced this time around with an “Ubisoft style open-world” map that ranges across kilometers of brightly lit rooftops. It’s a massive maze of pipes and hallways and glowing signs and security checkpoints. Disappointingly there are practically few if any occasions in which you are tasked with setting your feet on ground level, a regular occurrence in the first game. There’s more than enough room on the rooftops to keep you running, unbelievably so, and littered all throughout this maze are a hundred or more random doodads and time trials and mission objectives and side quests to keep you distracted for a long long time. Some (like a number of impossible time trials) are harder than others (like thankfully the story missions), but most feel pretty meaningless in the scheme of things. A peaceful distraction (Usually) but nothing to draw you any deeper into the game. Among the regular objectives you come across are data gridnodes, and these I enjoyed as a occasional distraction from the rest of the game. 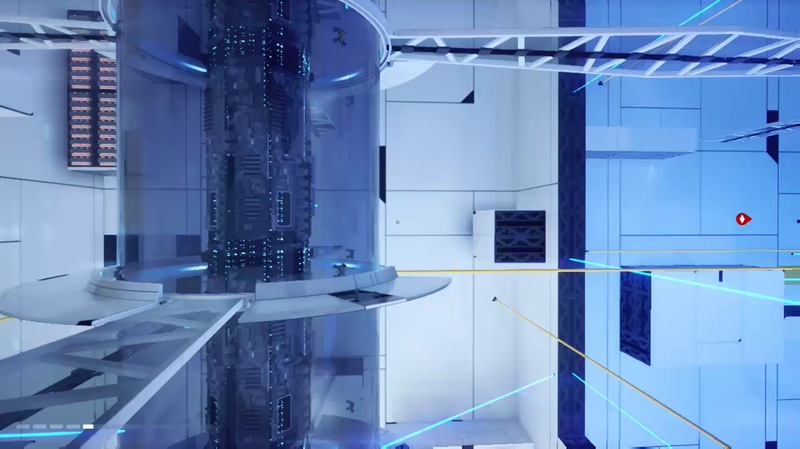 It involved going inside computer server rooms, set up to look like vertical mazes. They were like mini puzzles within the game, little playgrounds that took actual thought and care to beat efficiently without setting off any of the alarms. It’s a more enjoyable time than the generic delivery missions with times that are a little too tight. Also, there was a grappling hook that was fun, if very inconsistently used. Don’t expect to be swinging all around the city like Spider-man. You have to grapple only to things they allow you to, and those are few and far between. The game looks good. Except for the scale of the world, though, as well as some impressive lighting effects, there’s little else to really suggest that this game couldn’t have run on last generation hardware. That said, the game is plenty capable of immersing you in its world as you’re running through it. Also the draw distance is as impressive as any game this generation. The art direction is as solid as it ever was in the last game. The city is beautiful in it’s bleached white buildings and blinding neon lights. Running through this games felt, at points, like one was running through a city in JJ Abraham’s Star Trek universe. The character designs were decent at points, with the protagonist being likable enough. There was a resistance leader that looked convincingly like Fish Mooney in Gotham, and though I could find no proof she was played by Jada Pinkett Smith it was a fitting look for a character everyone else described as scary and intimidating. Potential relationship fodder, Icarus, didn’t fair so well with a generic look and often sporting the douchiest of sunglasses. A lot of care was put into the soundscape of this game. This is particularly true of the breathing you hear from Faith as she runs, and the grunts she gives after a particularly difficult jump. Her audible emotes really draw you in, your heart sinking every time you lead Faith to her death. You feel the impact of each stumble, and will want to gasp along with Faith as she sprints through environments dodging bullets and explosions. A similar care, unfortunately, was not put into the music. 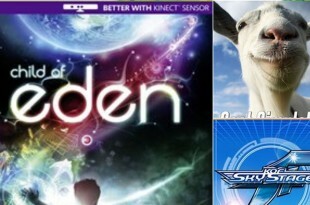 The last game had the cacthy Pop Song “Still Alive” headlining the game, and the rest of the soundtrack followed the style set by the song. In this game, they aimed for a similar tone but didn’t this time have a catchy beat to give their theme direction. All the music in the game comes across as incidental nonsense that feels like a pale failed attempt at imitating what the soundtrack of the first game achieved. It feels like elevator music based off a cover band’s interpretation of how the first game’s soundtrack made them feel. 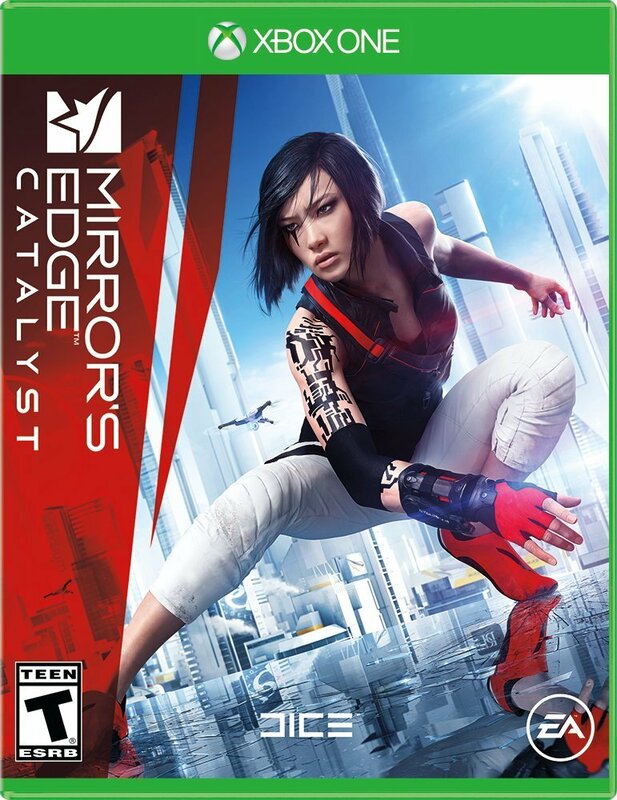 Mirror’s Edge was one of the few games I’ve ever beaten, where I immediately started the game over to beat it again. I’m just not that type of person, but the first game did something to me. 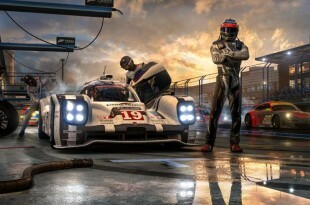 It didn’t help that there was little else to do with the game, besides some later released VR looking time trials. 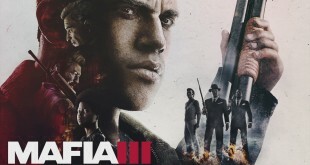 The Ubisoft-style map of this game leaves a lot for the player to do after they’ve finished the story, but much of it is less compelling even than the lackluster story. 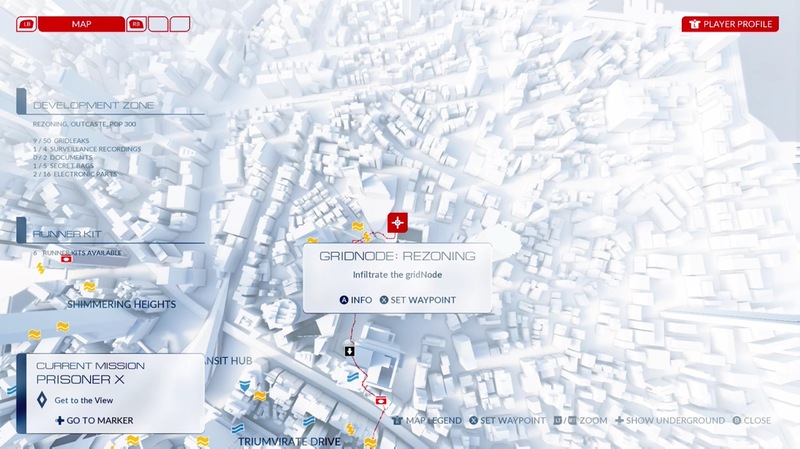 There’s little to make you want to check off every box on the map, except perhaps to spend more time playing around with the free-running gameplay. This isn’t a bad game in any capacity. It is, however, a little humdrum or mediocre. 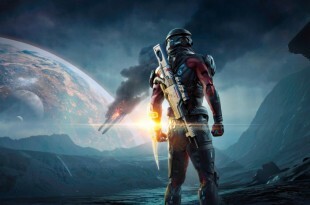 The developers were hoping to emulate everything that was good about the first game, just more and better. 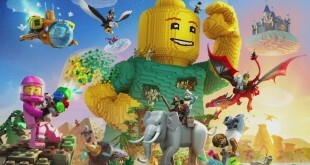 They succeeded at giving us more, but the game ends up feeling like a poor imitation of the heights that the first game reached for, and at points even attained. If you could combine the things that both games do right into one game, you’d have one of the best games ever made. But as they are, neither game by themselves is able to achieve the level of greatness the fantastic premise and beautiful tone of the games deserve. There are moments of this game that come off very serene. If the job of a video game is to relieve stress, this game brings that with spades. At least, that is until you start tackling some of the random side quests with far too tight time restrictions, or navigating the confusing maze of a map once you have all the regions unlocked. It's too bad this game is a reboot of sorts, as I'd suggest to anyone wanting to give this game a chance that they start with the first game instead. Come back here if it leaves you wanting more.